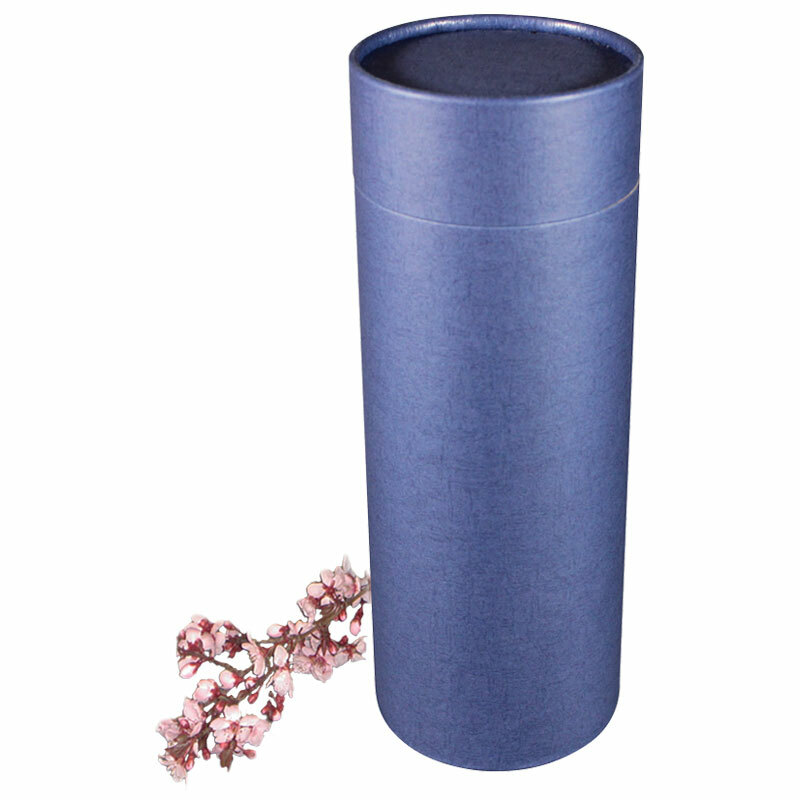 Once you’ve researched disposition methods decided on scattering ashes, it’s time to figure out what container you will use to 1) transport the remains to the scattering site and 2) pour out the remains. 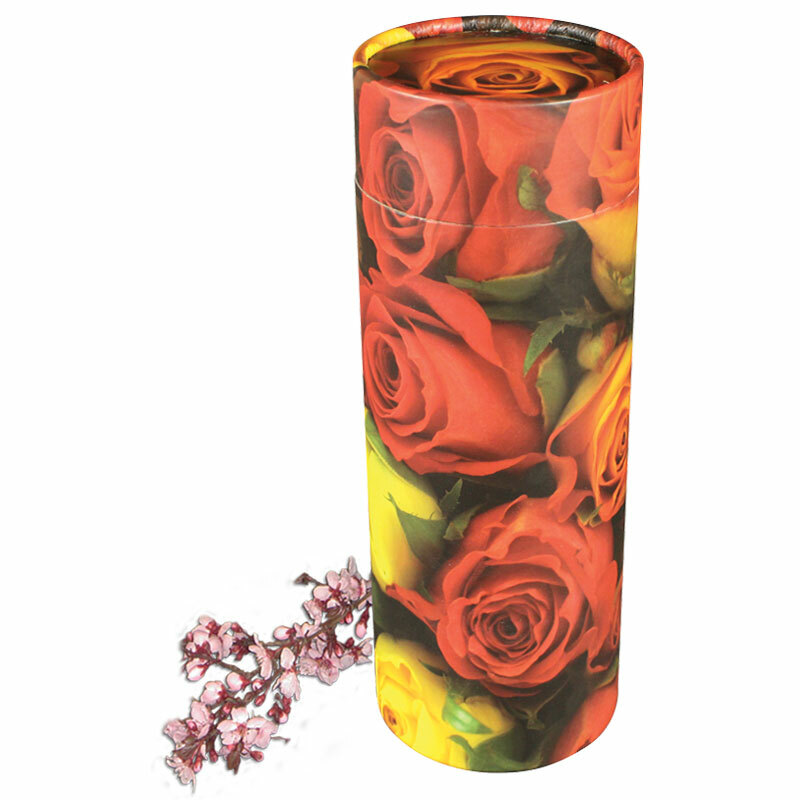 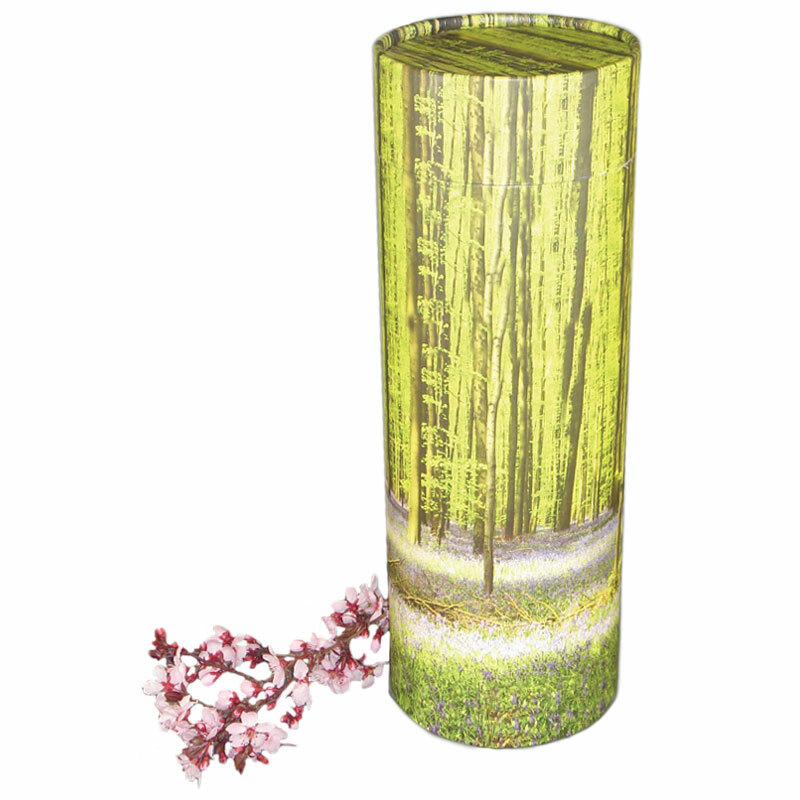 Ideally this will be the same container, and it is known as a “scattering urn.” One of our favorite scattering urns is the Tribute Scattering Urn Tube, which we’ll profile here. 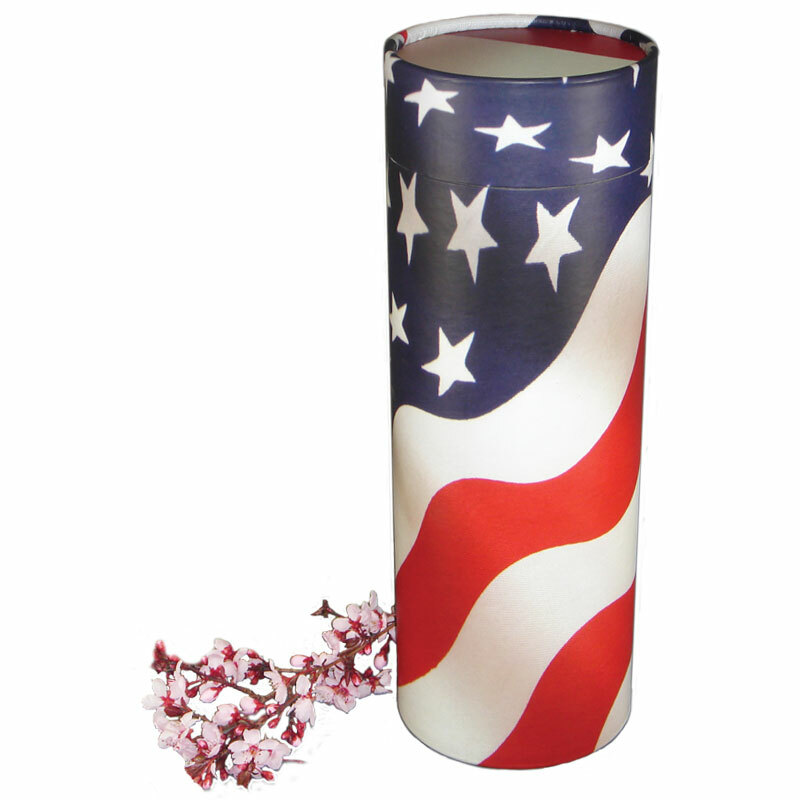 The Tribute is made in the USA from recycled materials, and is both extremely durable yet completely biodegradable. Thus, after scattering the remains, you may keep the urn as a memorial (the sturdy construction is similar to a high-end hat box) or recycle it. 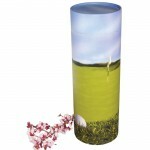 You can also use the urn for eco-friendly ground burial, and the urn will biodegrade over time. 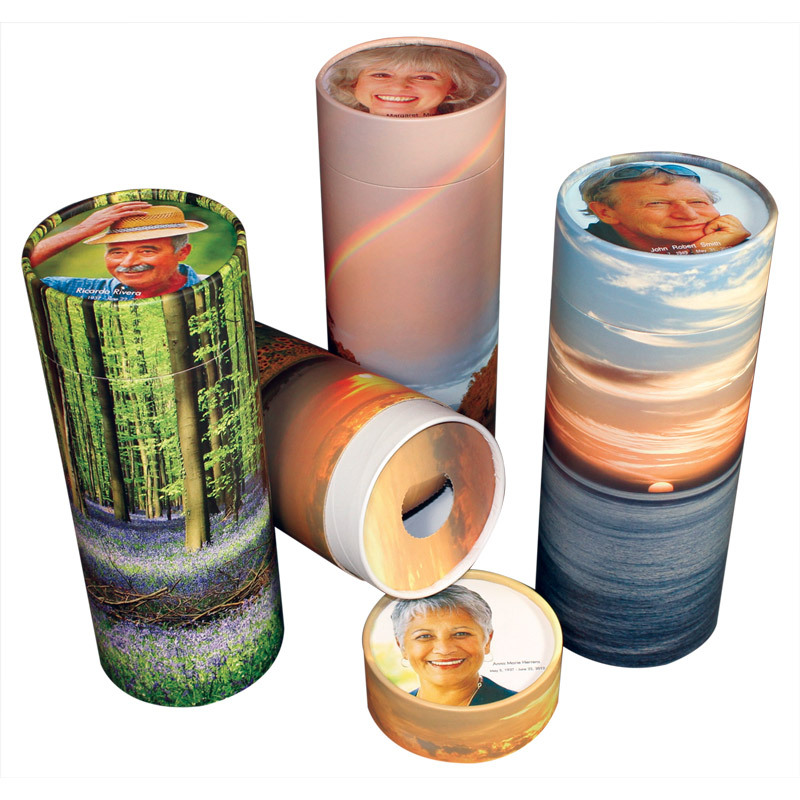 There are 14 different gorgeous, photo-quality designs available, including floral, patriotic, nature, and even golf themes. 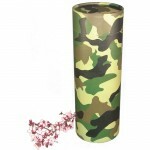 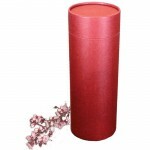 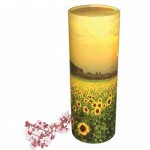 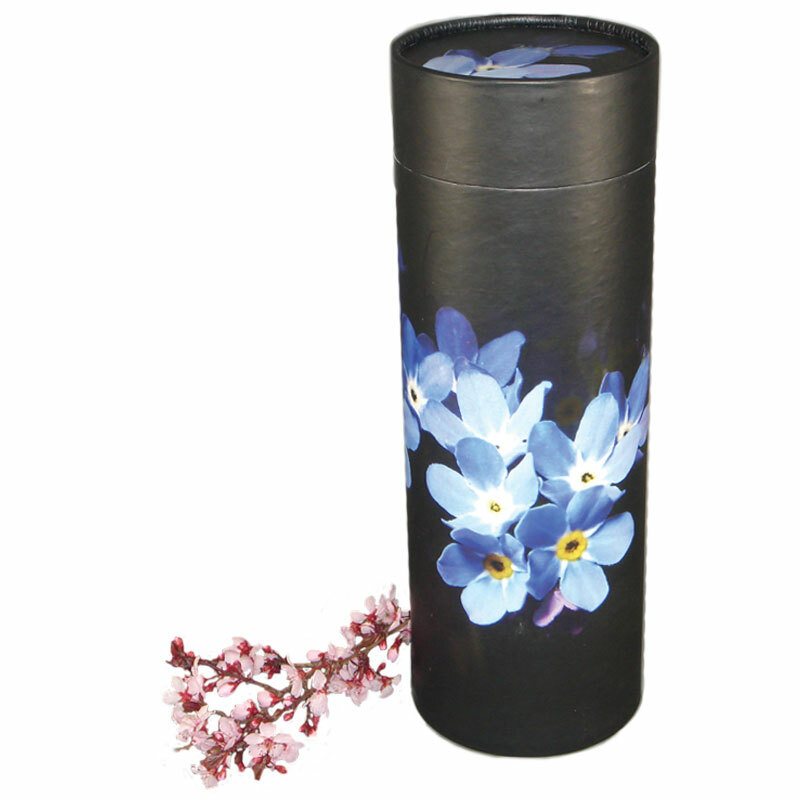 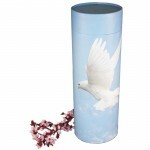 These cremation urn tubes make scattering ashes simple and stress-free, while providing a sense of dignity and elegance when transporting and actually scattering the remains. 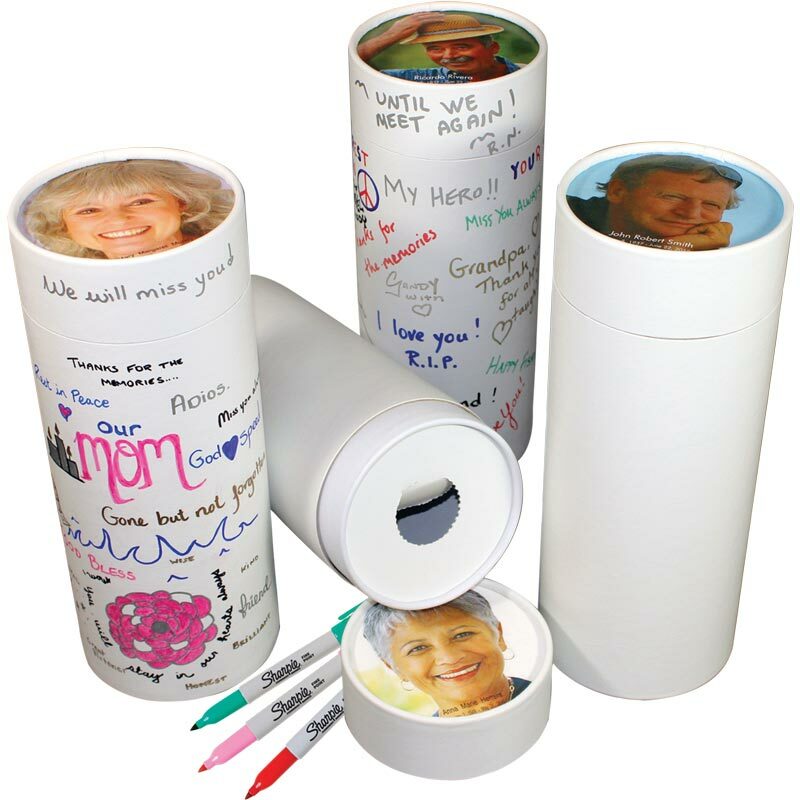 Each design is available in both standard (200 cubic inch) and mini sharing keepsake (20 cubic inch) sizes, so that you can share remains among family members, or give each person an opportunity to scatter individually. 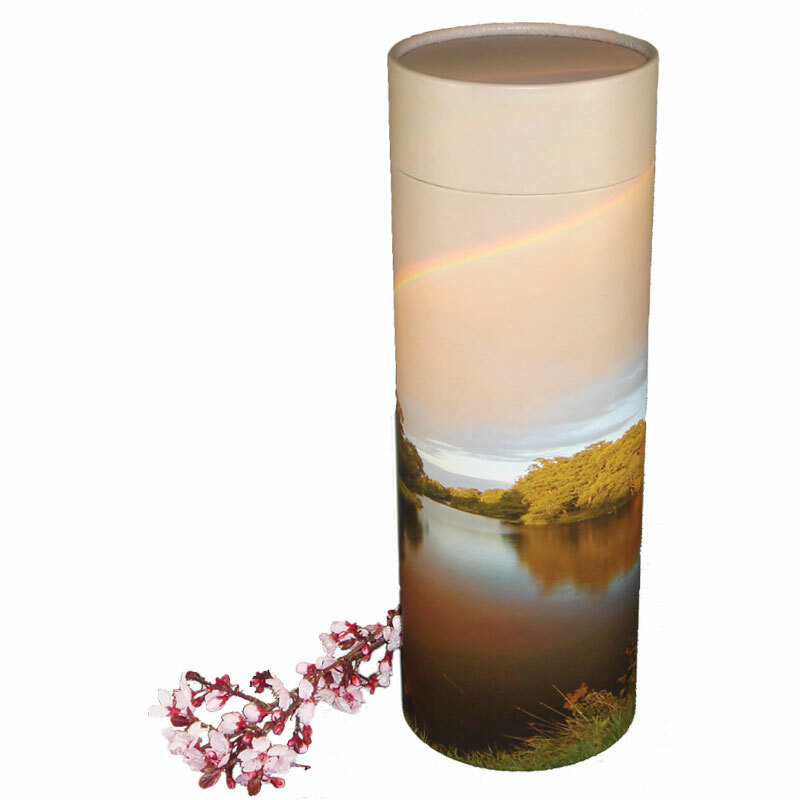 Optionally, you can personalize the scattering urns with a photograph and inscription, which we will arrange attractively and add to the top of the lid. 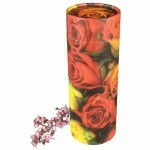 This is available for both standard and keepsake sizes. 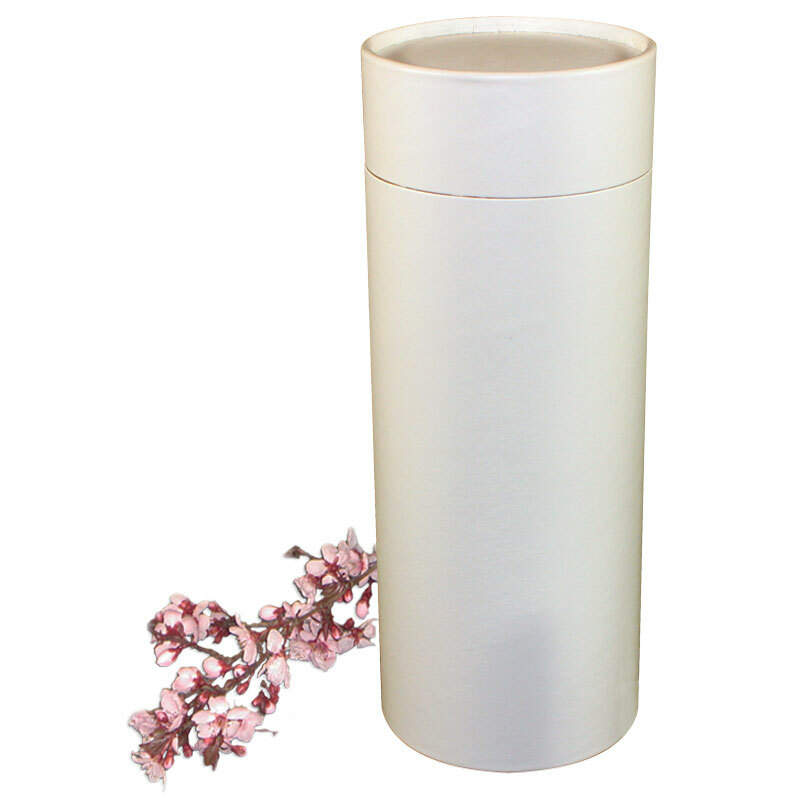 Remove lid and inner (white) tube. Place white tube on a flat surface with open end facing upwards. 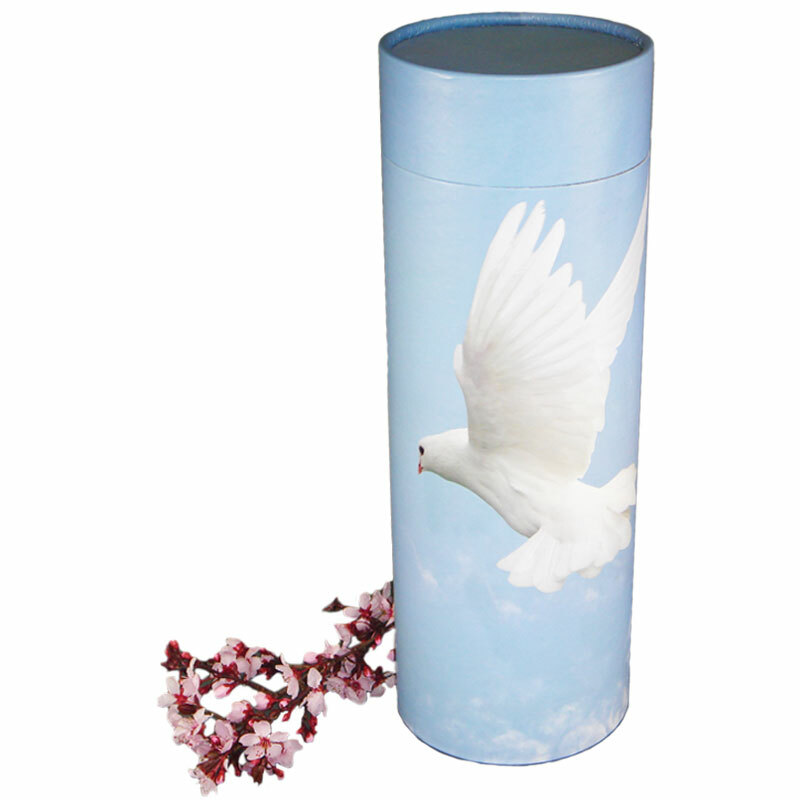 Slowly fill the white tube with cremated remains. 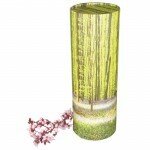 Squeeze a generous line of glue around the inside circumference of the outer tube, approximately one inch below the rim.. 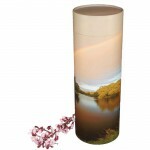 This is the one that has the printed image and has a hole in the base. Line up the openings of both tubes and push the outer tube downwards slowly, to allow air to escape through the vent hole. 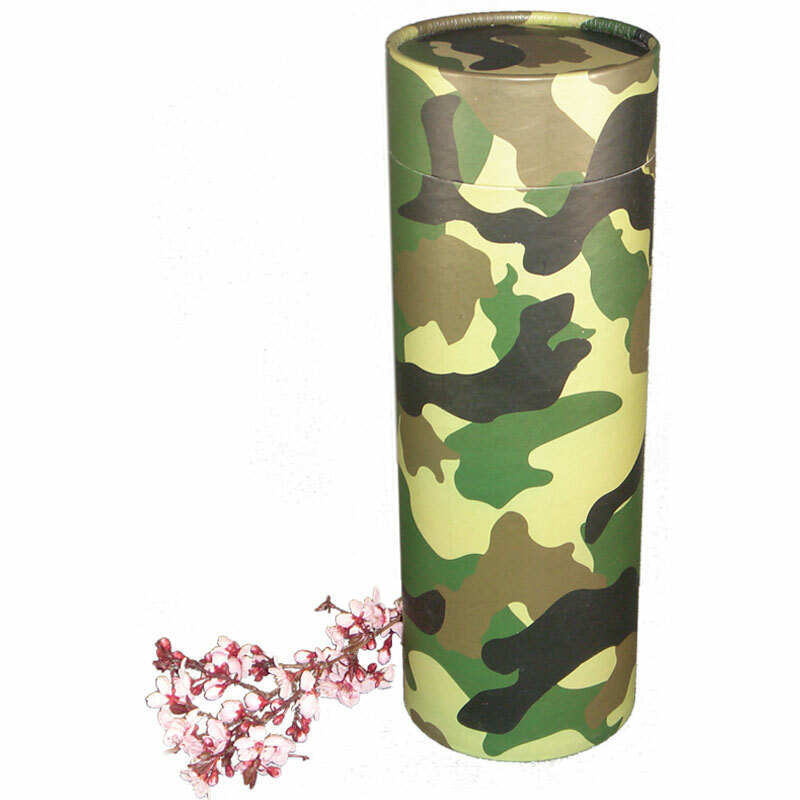 Once the tubes are firmly in place, attach the label provided over the vent hole. 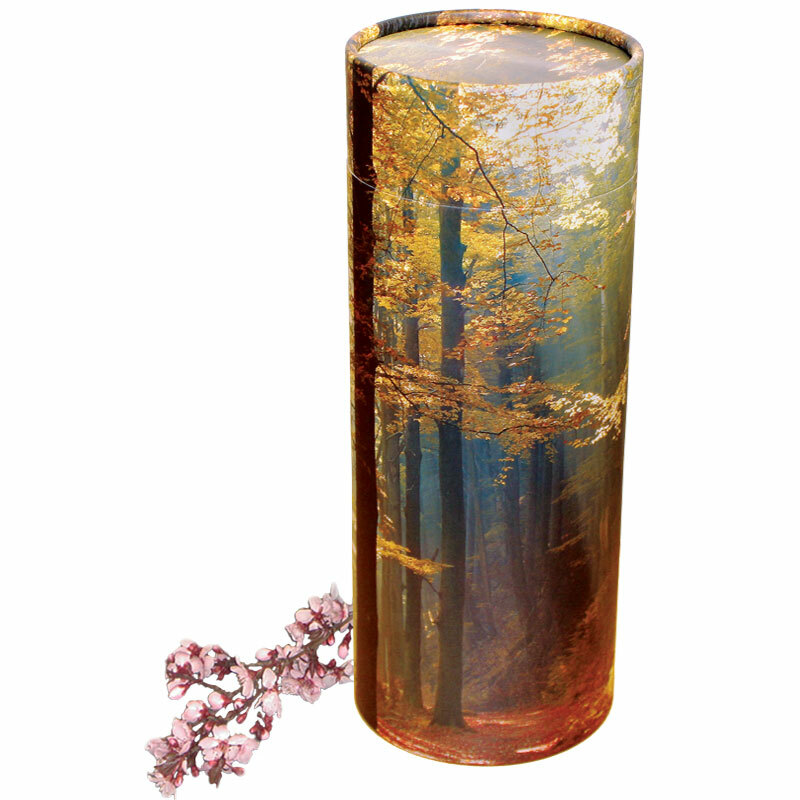 Invert the tube and replace the lid, aligning the image. The urn is now ready for use. 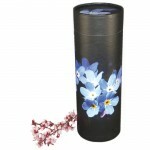 To scatter, simply remove the lid, punch the perforated tab, and pour. Still undecided? 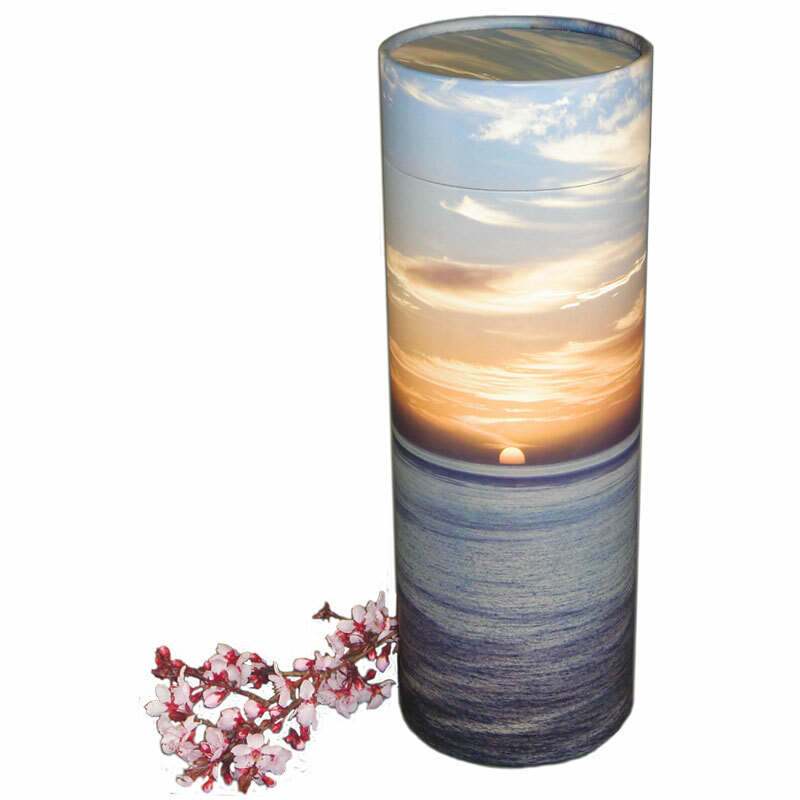 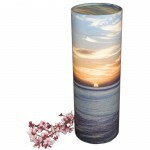 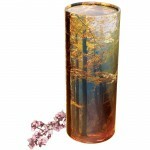 Browse the complete collection of scattering urns.